For the second consecutive year in Boston, inclement weather figures to play a major role in who claims victory on Monday in America’s most prestigious marathon. After howling winds, near-freezing temperatures, and pouring rain combined to wipe out droves of underdressed and ill-prepared elites in 2018, including two-time Boston champion Lelisa Desisa and 2017 Chicago winner Galen Rupp, a slightly less frigid, but still ferocious system is expected to arrive in New England by Sunday afternoon and stick around through race day. You can bet that the entire field, after either experiencing firsthand the horrors of last year or hearing of them over and over again, will be collectively better prepared to handle the weather. But even the highest-tech jacket can only keep the mental demons at bay for so long, and whoever copes with a frustrating 26 miles best will wear the olive wreath on Monday. As such, owning the fastest PB or a proven record in ideal conditions is essentially a useless predictor for this race. Several East African studs are sure to drop out as they did en masse last year, and with that, we just might wind up with a champion who would otherwise have no business winning a major. If you ask me, a guy who will be sitting in a hotel lobby during the race, this heightened uncertainty turns an already exciting event into an epic drama of plot twists and heroics. 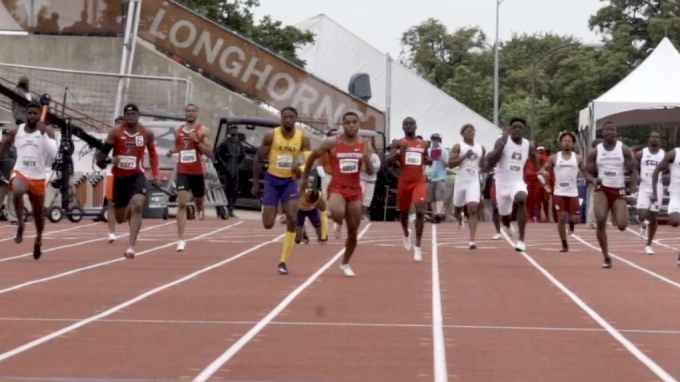 With the nasty weather sure to boost some less accomplished athletes ahead of faster ones— while keeping others from reaching the finish line at all— I’ve taken my best shot at predicting the men’s top 10. If Kirui hadn’t completely fallen apart in the final miles and relinquished what was once a 90-second lead, there’s little doubt that he would be an easy choice for favorite this year. A rain-soaked win in 2018 would’ve made it two straight Boston wins and three straight major victories overall for the Kenyan. But Kirui, wearing a baggy pullover that seemed to be soaking up water instead of repelling it, faltered greatly down the stretch and then was just sixth in Chicago last October. How quickly a narrative can change about a marathoner. Despite his issues last year, the fact that Kirui still finished on the podium is a good sign for his chances on Monday. While so many of his East African peers called it a day early, Kirui pushed on fearlessly against the wind and rain. The 26-year-old has never DNF’d a marathon before, and with a more cautious approach in this year’s wet weather, I like Kirui to win. The two-time Boston champion is the most accomplished man in the field, and coming off arguably the best win of his career in New York last November, he has a giant target on his back. But Desisa isn’t without his warts, either. Like literally every Ethiopian elite last year, the 29-year-old didn’t finish and I get a feeling if things aren’t going well early he might do the same to avoid compromising his selection for the 2019 World Championships marathon. But if he can handle the sloppy conditions, Desisa should be on the podium. He’s done so eight times at a major after all. I’m picking the fastest man in the field to finish third for two reasons: one, Cherono barely has any majors experience and certainly has never raced this deep of a field in conditions like he’ll see on Monday. 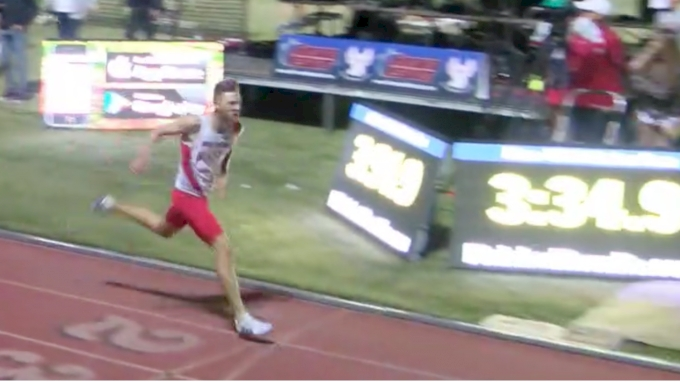 But two, he did run 2:04:06 just six months ago and despite his scarce record, that’s a lot of talent to keep off the podium. 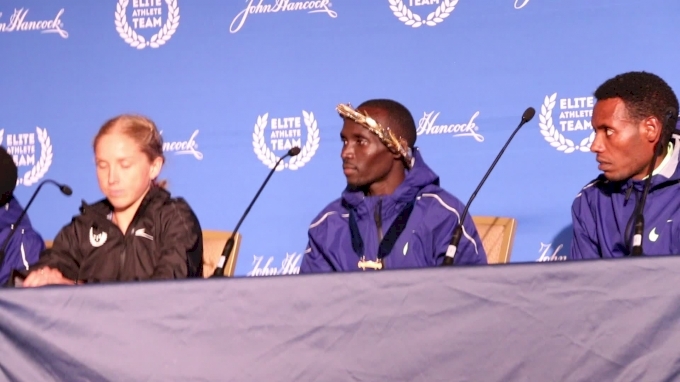 He didn’t get much attention in the wake of Mo Farah winning his first major, but Kenneth Kipkemoi established himself as a man to watch by finishing fourth and beating Galen Rupp and Geoffrey Kirui last October in Chicago. 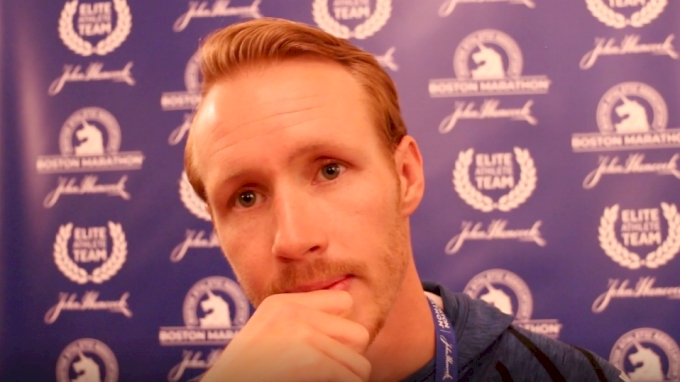 Even with just three marathons under his belt, the 34-year-old is a little old for me to believe he’s going to be a fixture for years to come, but two straight 2:05s tells me he absolutely can contend on Monday. Yep, I think Yuki will run well in his Boston defense. Much of my optimism, obviously, is due to the forecast, but I also like that he ran 2:09:21 a little over a month ago, his fastest marathon in nearly two years. Running a marathon just five weeks out from a major would be cause for concern for about anyone else, but Yuki races like no other professional marathoner in the world; his two 26.2 races so far this year represent one less than he ran at this point last year. If this was a 60-degree and sunny day, the 32-year-old would have basically zero chance of finishing this high. An on-form Yuki with Mother Nature on his side, however, is a threat to every man in the field. The 30-year-old Ward was 10th in this race two years ago and seems primed for another top 10 finish after finishing sixth in New York to take American honors. 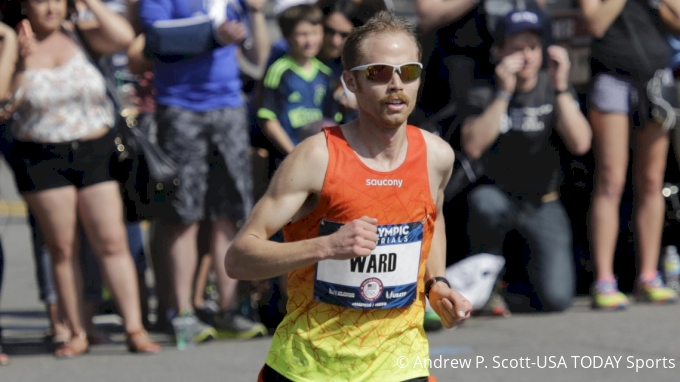 Ward’s PB is only 2:11:30 from the 2016 Olympics, but his 62:33 fourth place NYC Half finish on March 17 shows he’s fit enough to go much faster. 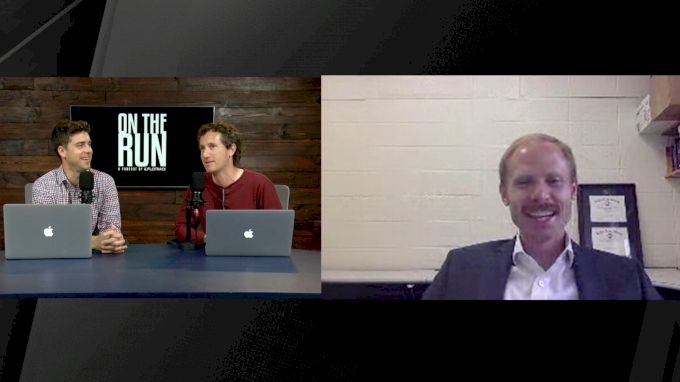 Now, the weather may not allow that, but when a man who wrote his masters thesis on marathon pacing says he believes he can run 2:09, I’m inclined to believe he’s in that sort of shape. Biwott has been Mr. Consistency in the marathon for the last three years as the 34-year-old has placed top 10 in five straight majors. 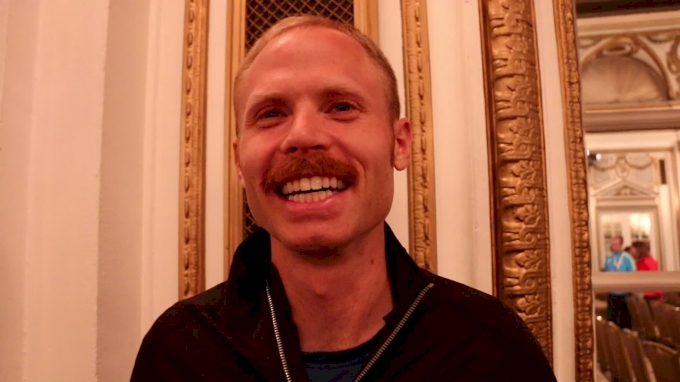 The Hansons-Brooks athlete nearly caught up to the fast-fading Geoffrey Kirui in Boston last year, but settled for third place and his best ever major marathon finish. Based on that and his modest 2:12 PB, Biwott has to be pumped about more rain on the way. Since he dropped out of Boston two years ago and has had all of his greatest marathon success outside of majors, I was tempted to keep Lemma out of the top 10. Not a single Ethiopian elite-- man or woman-- finished Boston last year, so I’m not exactly bullish on a guy accustomed to the friendly confines of Dubai making it to the finish line in a torrential downpour. But Lemma just ran 2:04 in late October, so he has tremendous boom or bust potential. I can’t decide, so I settled in the middle on eighth place. 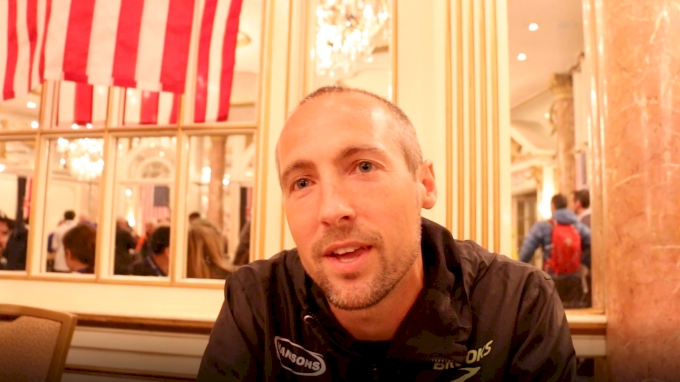 I know I should probably give up on the idea that 36-year-old Dathan Ritzenhein, nearly four years since he last finished a marathon, is still relevant, but a 61:24 half in February tells me there’s still a good marathoner left in his frequently injured body. Ritz was seventh four years ago here and something right around there feels right. The 27-year-old Fauble is the least experienced of the “Big Four” Americans in the field, but so far he’s taken right to the distance by running back-to-back 2:12s, his latest a seventh-place finish in New York. Fauble is an intriguing prospect because he’s still quick enough to place sixth at the U.S. Cross Country Championships while already having the strength to scare Jared Ward for top American honors last November in NYC. 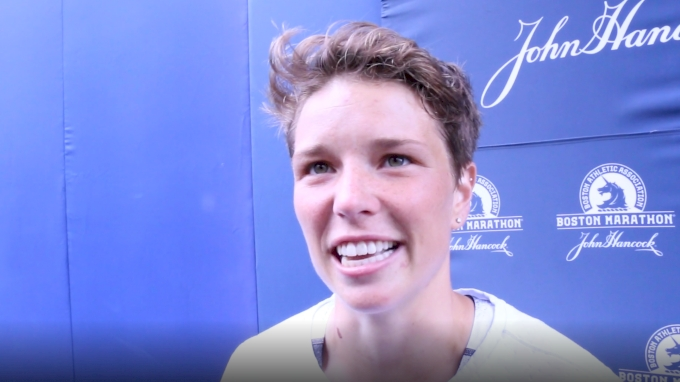 Monday could be the site of a big breakthrough for the Northern Arizona Elite athlete.